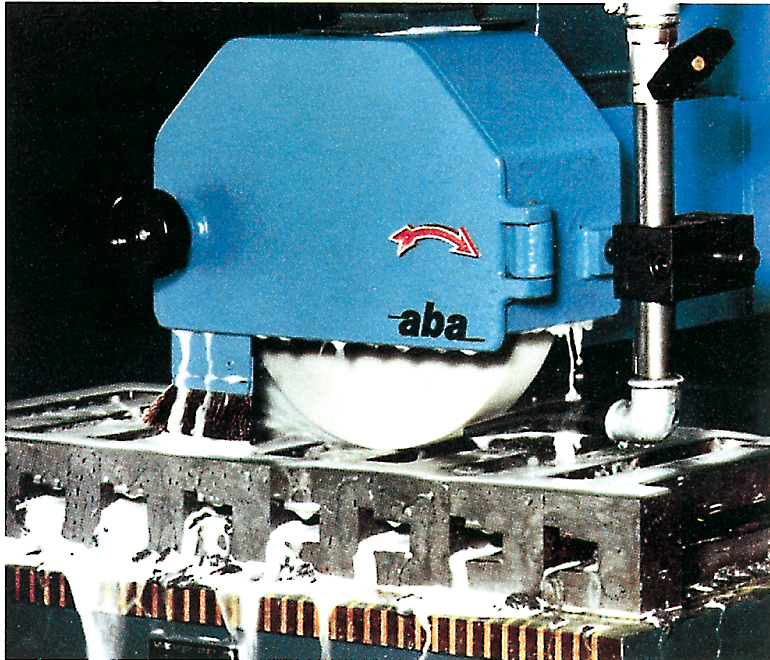 ELKA-Elastic grinding tools are abrasive wheels bonded with elastic reaction resins, primarily from the PUR and EP product groups. Aluminium oxide and silicon carbide are used as abrasive grains. In specific applications, diamond grains are also used. As resins are highly versatile, tools with a Shore hardness of A 30 (approximately the hardness of mattress foam) to D 95 (hardness of electro casting resin) are used. This special type of bonding allows the grain to oscillate, which in turn leads to gentle contact with the material to be ground. 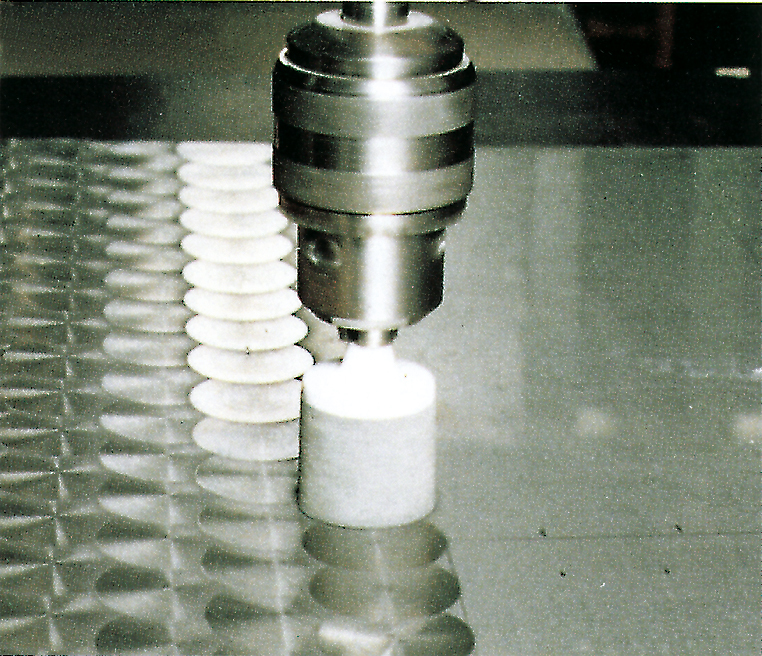 As a result, the removal rate is low, but a technically perfect surface is generated. ELKA-Elastic tools are produced in all common geometries and dimensions. Currently, the smallest wheels measure Ø 22 mm and the largest Ø 1,200 mm. Like the dimensions, the application portfolio covers the entire range of finishing processes for all metals and alloys. The circumferential speed range is adapted to the hardness of the wheel and lies in a range of 10m/sec. – 50m/sec. 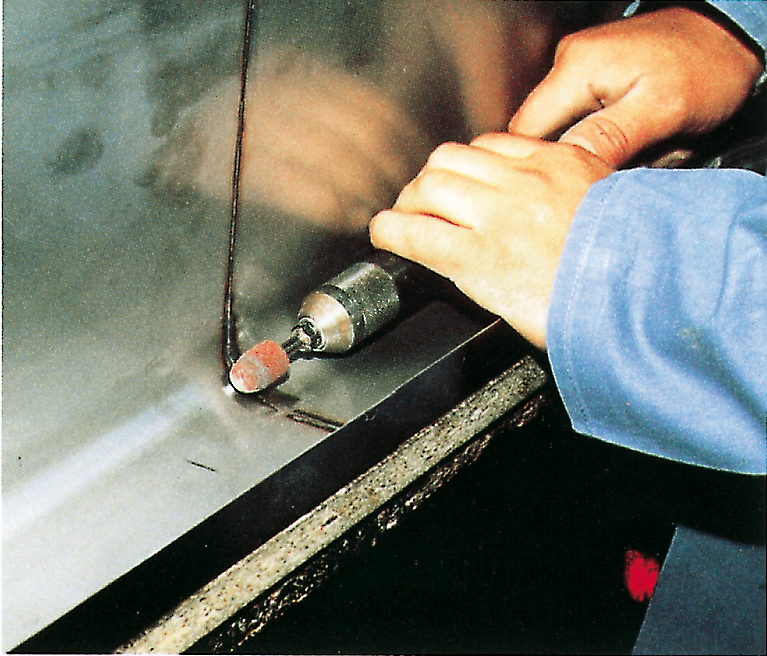 ELKA-Elastic tools are designed in such a way that they may be used with all commercially available machines. Only the speed needs to be considered. 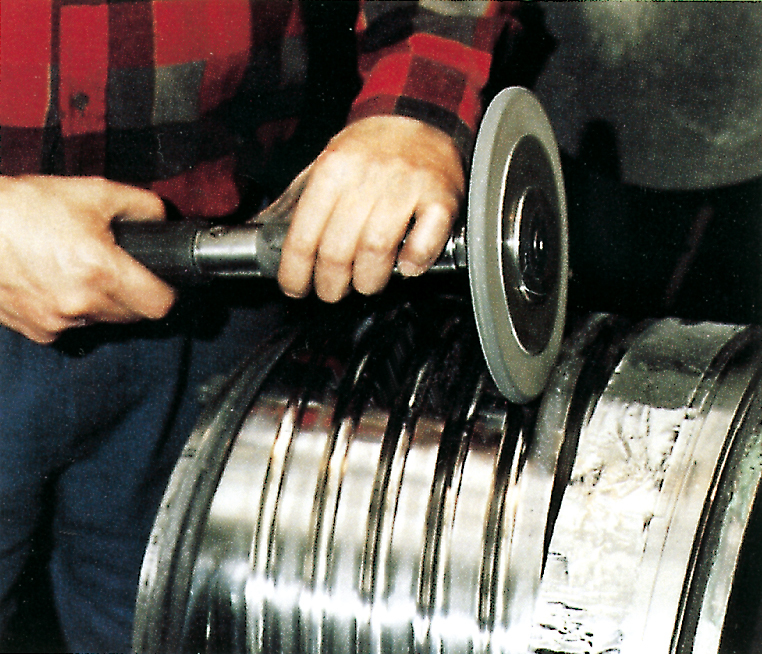 Examples outlining the use of ELKA-Elastic grinding and polishing wheels in the automotive industry may be found here. 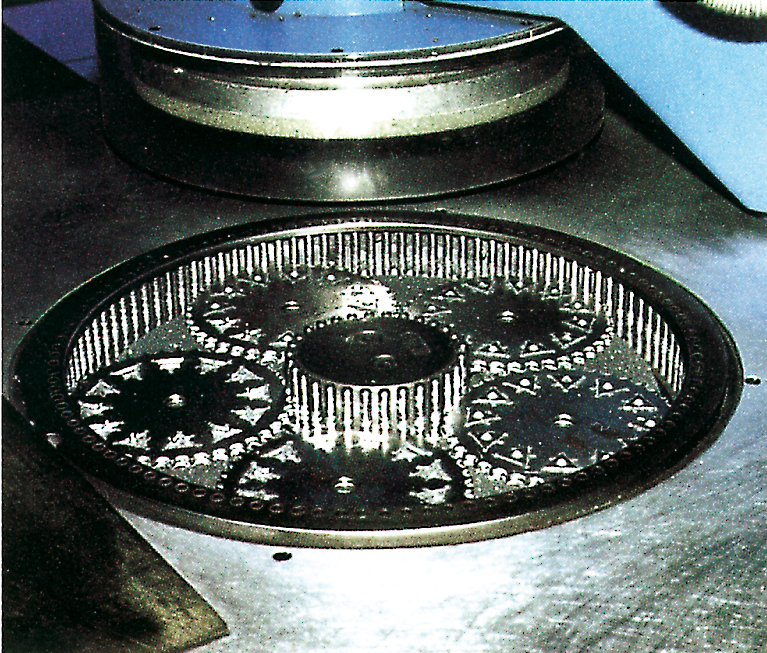 Polishing with profiled wheels, an absolutely constant contact pressure is achieved, which in turn ensures an absolutely consistent geometry ‒ even in parts with low tolerances. Applications include spectacle frames, small parts for textile machines, turbine blade, etc.